Twixmas: stemming from the word ‘betwixt’, meaning between, it's the period between Christmas and New Year. Rather than vegging in front of the sofa, why not get away for a few days and explore a new part of the country. Here at Cool Places we have a range of hot deals from December 27th to 30th and over New Year. Carry on reading for some of our faves. This gorgeous converted windmill in Norfolk is available to let out on a self-catering basis for New Year – sleeping 12 and with outhouses that house up to a further 10, it's the perfect place to ring in 2019. Book a 3-night break at this quirky and luxurious hotel tucked into an idyllic bay between Looe and Polperro and enjoy a glass of warm mulled cider, Christmas cake and mince pies on arrival and a five-course feast in the 2AA Rosette restaurant on the first night with fizz and canapés. Overlooking Newquay’s iconic Fistral Beach, this is a wonderful place to see in the New Year. Stay for four nights at a reduced rate – get booking, what are you waiting for? Bang in the centre of historic Norwich, escape here for New Year and indulge in a 3-night candlelit package. There'll be entertainment on NYE and a yummy brunch the following day. 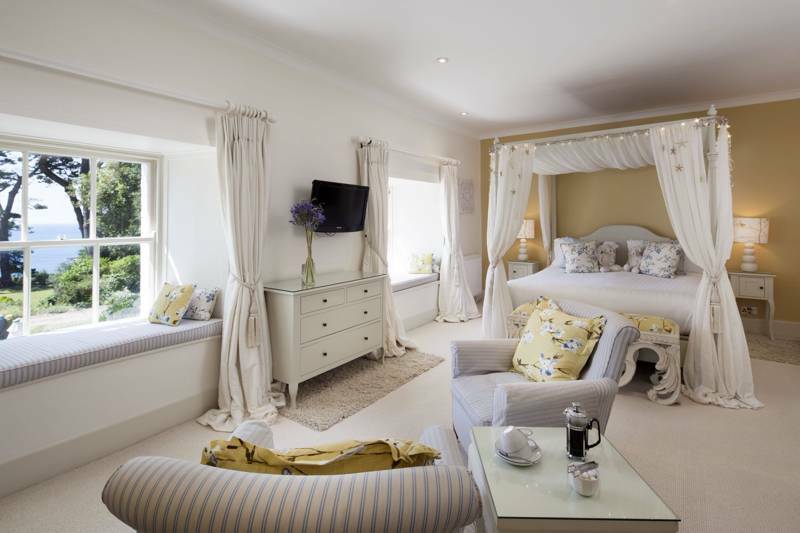 A tranquil and relaxing spot for a short break, stay a few days at reasonable rates at this golf and spa hotel on the banks of the Helford River in South Cornwall. Oh, and be sure to luxuriate in their indoor pool. Just a short walk from the centre of the gorgeous little city of St Davids, this hotel is ideally situated. Their 2-night New Year celebration includes an a la carte dinner on the first evening and a champagne reception followed by a six-course meal in their fabulous Blas eatery on December 31st.